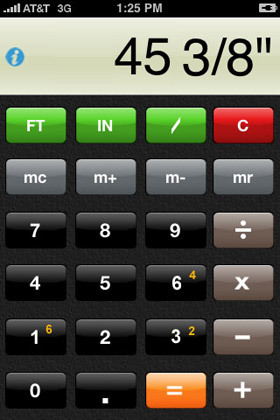 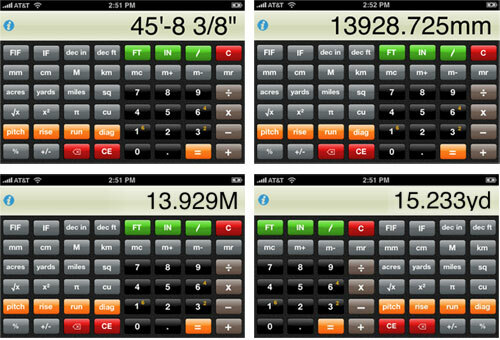 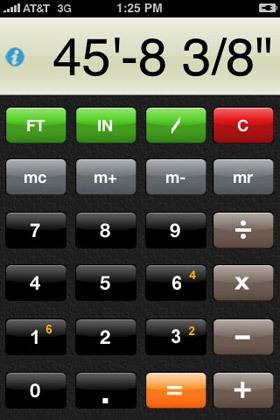 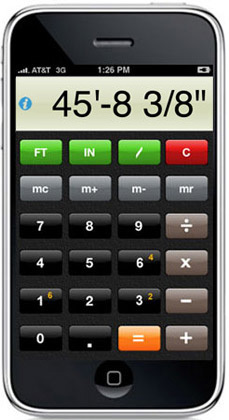 is an Application for the iPhone & iPod touch that turns either into a powerful calculating tool for anyone who uses common tape measures or rulers. 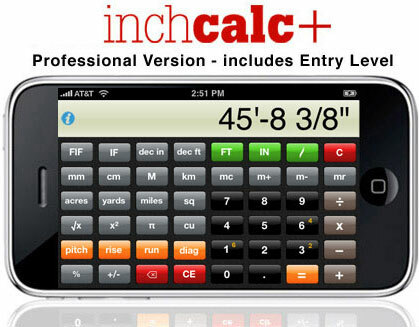 takes inputs directly in the same FEET • INCHES • FRACTIONS units as tape measures & rulers, does the calculations & displays the answers in the same units. 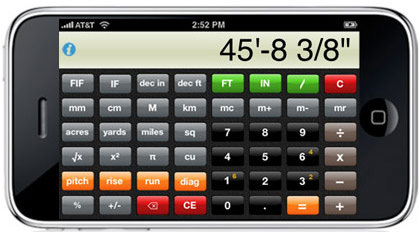 needs dimensional conversions between the Imperial and the Metric systems. 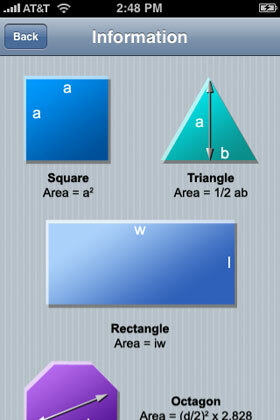 at home, in the studio or at school.